Mitsubishi Electric Automation serves a wide variety of industrial markets with a family of automation products including programmable logic controllers, variable frequency drives, operator interfaces, motion control systems and servo amplifiers and motors. 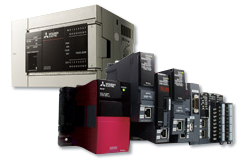 Mitsubishi offers Automation Platforms including modular PLCs to multi-disipline PACs. GOTs (Graphic Operator Terminals) provide an innovative operation and visualization interface. The growth of your business and the speed of your production depend on many influences out of your control. 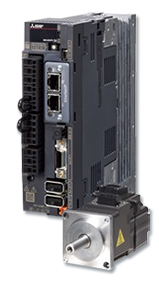 Mitsubishi's broad range of high quality servo motion control offerings include standard safety features, multi-axis amplifiers, linear and direct drive motors. 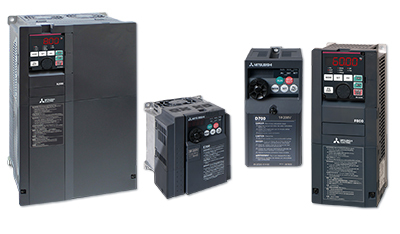 Mitsubishi offers a comprehensive line of variable frequency drive products and solutions that are designed to satisfy your needs, from the very simple fractional horsepower component to the large and complex multi-system drive architectures. 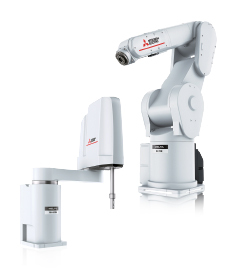 From simple pick-and place-applications, to complex assembly tasks, Mitsubishi Electric MELFA industrial robots are equipped with class-leading speed and precision. Clayton Controls is a Mitsubishi Electric Automation distributor in California. We offer technical support to help our customers solve their applications.